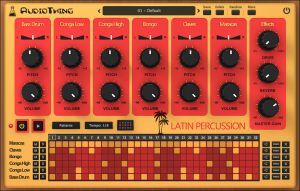 The instrument features 6 classic latin sounds: Bass, Low Conga, High Conga, Bongo, Claves, and Maracas, which can be pitched, panned or mixed independently. You can additionally shape the sound with the Overdrive and Reverb. 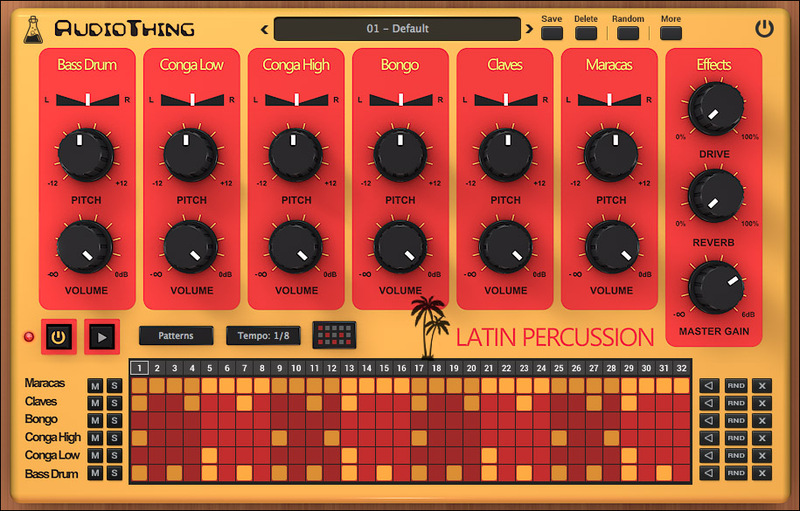 The sequencer lets you easily build patterns that can be dragged and dropped to your DAW/host. 20 Factory Presets / 9 Factory Patterns. Sequencer with MIDI Drag to DAW.